Never be too far from your favorite game with this lanyard close at hand! 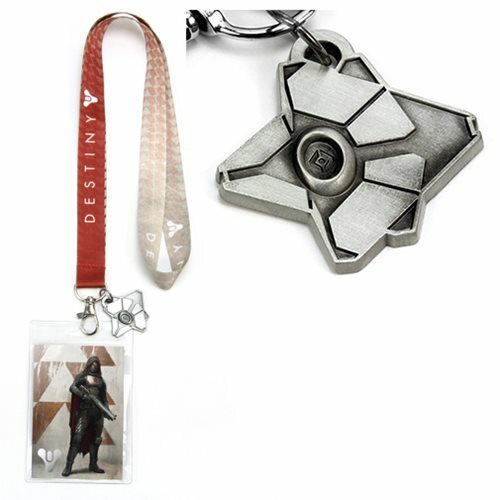 This Destiny Guardian Hunter Lanyard includes a 2-inch metal ghost charm and badge holder, complete with a Guardian insert card. The lanyard measures 18-inches long x 3/4-inches wide and comes packaged in a polybag. Ages 14 and up.